Glass drinking mason jar with handle, lid and straw. Perfect for a 50th birthday present. 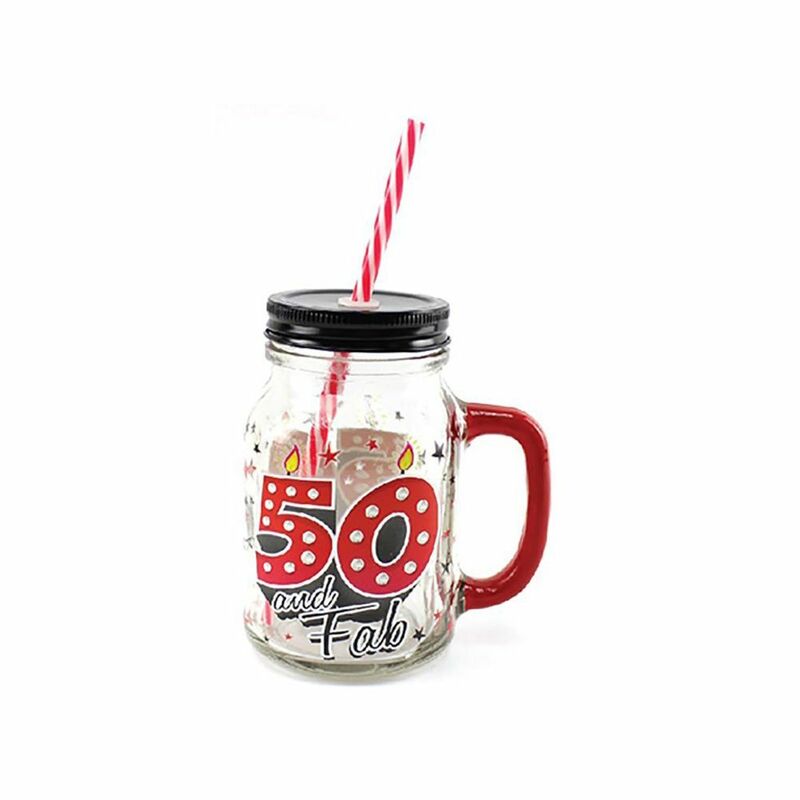 These glass jam jar glasses come with a screw-top lid, striped straw and hold up to 500ml of liquid. They can be used time and time again and are very resilient. Great for BBQs, parties, weddings and picnics - the possibilities are endless! This product can be hand washed and is also dishwasher safe.